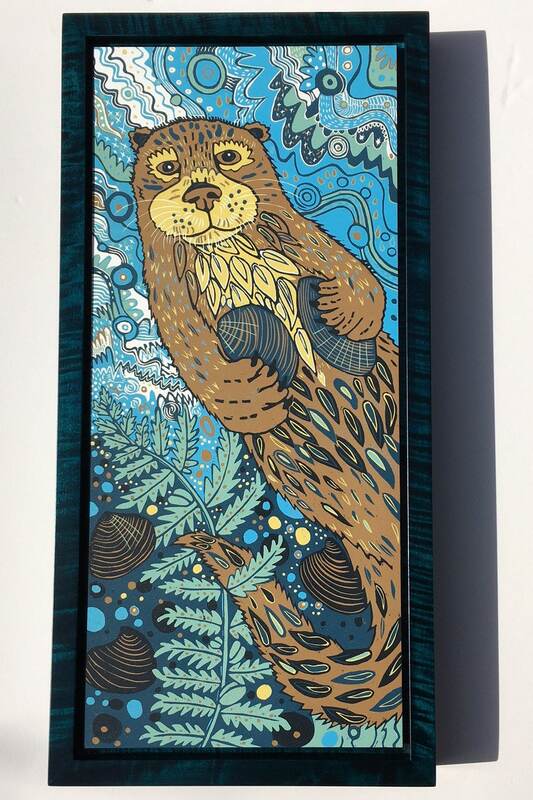 This listing is for a framed "Otter Watermark" woodcut in blue curly (tiger) maple. I can do different framing options as a special order if the blue isn't your style but I love this stained wood with the woodcut. Historically River Otters were found in freshwater streams and lakes all over New York state. 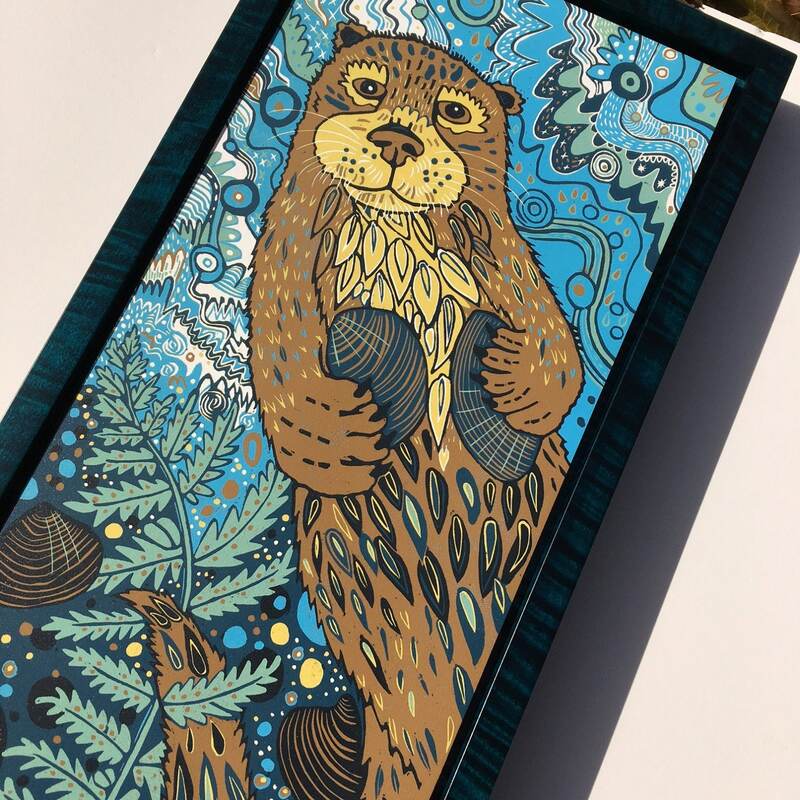 But, as is the story of so many of our native animals their habitat was destroyed due to development and land use for humans and the otter landscape was not taken into consideration. 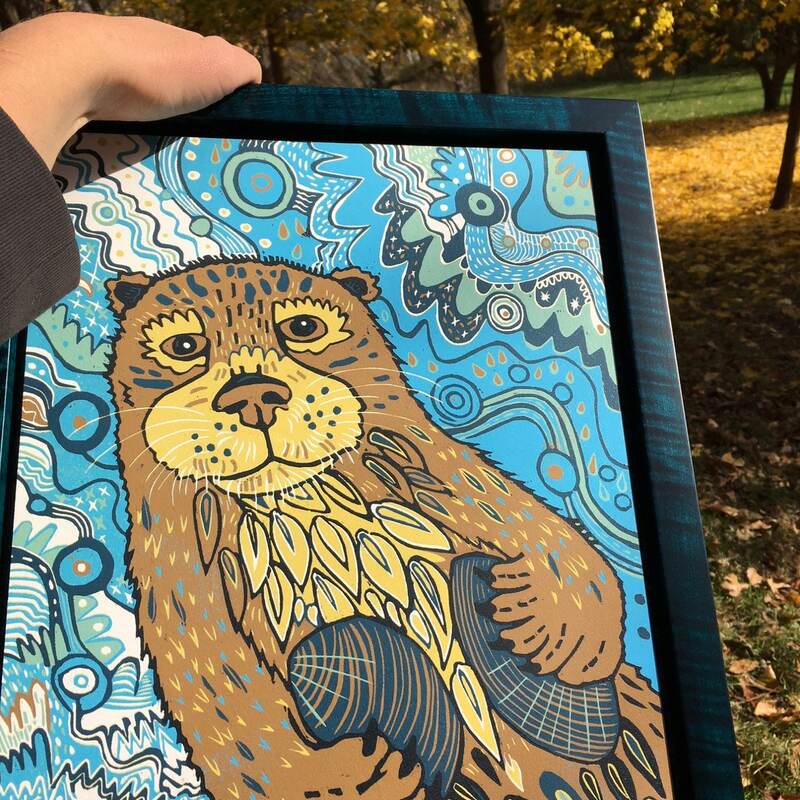 In the late 1990's there was a big project to restore otters to their former stomping grounds. It was somewhat successful but the otters still remain elusive and if you find one in the wild it would be a unique sighting. Fabulous woodcut. Repeat customer for a reason. Highly recommend.